Tuesday, Dec. 4, 2018, 4 – 5:30 p.m.
IAS faculty member Lauren Berliner presents Producing Queer Youth: The Paradox of Digital Media Empowerment, with an interview conducted by M.A. in Cultural Studies student Berette McCauley. Producing Queer Youth challenges popular ideas about online media culture as a platform for empowerment, cultural transformation, and social progress. 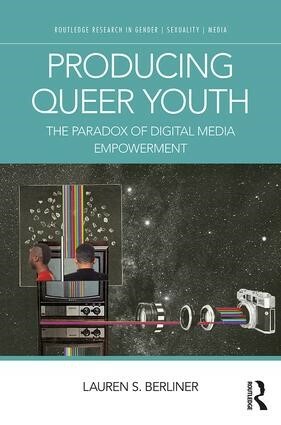 Based on over three years of participant action research with queer teen media-makers and textual analysis of hundreds of youth-produced videos and popular media campaigns, the book unsettles assumptions that having a "voice" and gaining visibility and recognition necessarily equate to securing rights and resources. Instead, Lauren Berliner offers a nuanced picture of openings that emerge for youth media producers as they negotiate the structures of funding and publicity and manage their identities with digital self-representations. Examining youth media practices within broader communication history and critical media pedagogy, she forwards an approach to media production that re-centers the process of making as the site of potential learning and social connection. Ultimately, she reframes digital media participation as a struggle for—rather than, in itself, evidence of—power.